Evolution is the default email client application for Gnome desktop environment. It is considered to be an alternative for Microsoft outlook, it is a free software and combines the features of email client, calendar, address book, and note taking application. Evolution was developed in 2000 and it has been receiving continuous updates from developers till now, it has emerged as an important part of GNOME desktops. With Ubuntu 15.04 out now, GNOME desktop still contains bit old version of Evolution, in the article, we will see how to upgrade this app to latest version and its prominent features. Evolution has a long list of feathers to its cap, here are some of the noteworthy salient features in the latest releases. 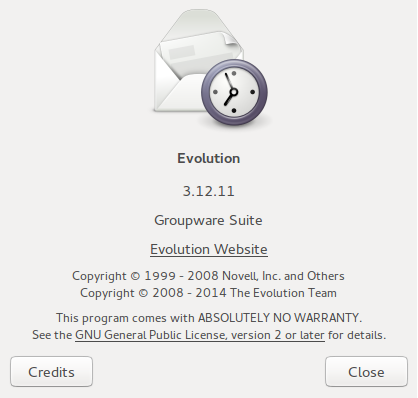 By default, Ubuntu 15.04 GNOME comes with Evoltion 3.12 which is bit older version. Now run following command on your terminal to add Evolution PPA repository to your package manager. Run following command to update your package manager with new repo added. Run following command on your terminal to install Evolution version 3.16 on your favorite operating system. That’s all, launch Evolution client from Applications menu and you should be able to see it running on latest version. Evolution is a well organized, pretty stable and most widely used GNOME application. Although with the introduction of many free third party email client software, Evolution has still not lost its charm, pretty much because of constant development and bug fixes. We hope you find this article useful, let us know in comments please. This is nice BUT when using Ubuntu or some of its cousins, it still installs the old version (in my case 3.10.*). So, if I would like to install the new version (3.16. *) then I got stuck with the old one. Which operating system version you are using ? I’m using Trusty…, and experiencing same issue. 3.10 seems default, ppa not updating. Tried using ppa-purge, but don’t know proper usage. Great instructions. 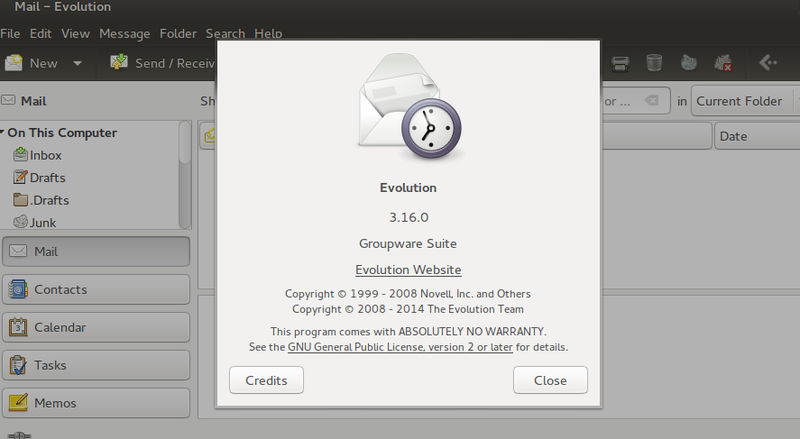 Evolution 3.16 installed perfectly on Ubuntu Gnome 15.04 following these instructions. I like the new “archive” feature of 3.16.
hi, on Mint 17.2, these steps give me evolution 3.10. Is there something else that we need to upgrade first? Some other gnome3 components? Ubuntu Desktop recently installed. I followed the steps but still installed older Evolution version 3.10. I followed these steps, and ended up with Evolution 3.18.5. I have Ubuntu 16.04 installed, maybe that makes a difference? Indeed ! With Ubuntu 16.04, it appears Evolution repos are updated, that might be cause for the installation of newer versions!